The report highlights the funding and establishment of new services to meet local community health needs, with over 60 organisations receiving grants and contracts in the program areas of After Hours Healthcare Services, Mental Health, Alcohol and Other Drugs, Aboriginal Health, Innovation, and Vulnerable Populations. “As healthcare commissioners we aim to work with our healthcare providers and community to improve population health, improve patient experiences, create better value within the healthcare system, and provide greater clinical workforce satisfaction and sustainability,” says Sydney North Health Network General Manager of Partnerships and Commissioning, David Grant. Improving the mental health services of the Sydney North region is one such focus. The SNPHN received $22.5 million over three years from the Australia Government to redesign and deliver effective and responsive mental health services within the region. In response to this grant, SNPHN has commissioned a range of innovative mental health services, providing care across a range of needs. 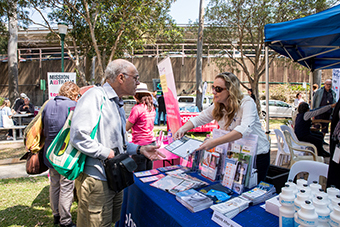 This is underpinned and supported by a mental health triage service to assist with the navigation and availability of mental health services for General Practitioners and members of the Northern Sydney community who need to access and use these services.